Reviewing the Crimean War and the role Florence Nightingale had in highlighting the plight of the soldiers. On 28 March 1854 Britain and France declared war on Russia, and for the next two years British, French, Sardinian, and Turkish troops fought against Russians in the Crimean War. The loss of life in the war was colossal; of 1 650 000 soldiers who began the war (of all nations), 900 000 died. The majority of those who perished did not die from wounds; rather they died from diseases brought about by the terrible living conditions which they suffered. In these notes we review the Crimean War, and the role Florence Nightingale had in highlighting the plight of the soldiers. The Ottoman Empire (1293-1922) was a realm centred on Turkey, which, during the seventeenth and eighteenth centuries, spanned thousands of miles into Africa, Asia, and Europe. The empire declined in the nineteenth century, and as it shrank there was conflict over control of the territory. The Holy Land (modern day Israel) was a region in the Ottoman Empire that had a long history of power struggles. In the 1850s France and Russia vied for authority of the Holy Land, each trying to force their will on the Ottomans who occupied the territory. Their disagreement escalated, and as the threat of Russian interference in the whole Ottoman Empire increased, Britain, Austria, and Prussia became involved to try to maintain stability of the empire. Initial peaceful negotiations failed, and the British and French sided with the Turkish Ottomans in war against the Russians. Most of the conflict in the Crimean War occurred on the Crimean Peninsula, which lies on the southern tip of Ukraine, and projects into the Black Sea. 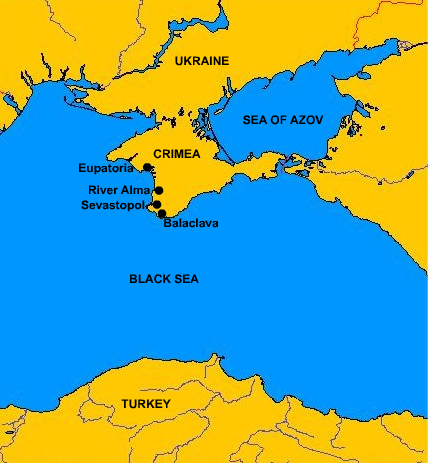 The Crimea was an important military position for the Russians, because their naval fleet could access the Mediterranean Sea from the region. Several of the more significant battles in the Crimean War are described below. The Battle of the Alma (20 September 1854). In the first battle of the Crimean War, British and French forces clashed with Russian forces near the River Alma in the Crimea. The Russians were defeated. Siege of Sevastopol (25 September 1854 to 8 September 1855). Sevastopol is a city in the south of the Crimea, and it was the home of a major fleet of Russian ships. The British, French, and Turkish troops besieged the city for one year before finally capturing it on the 9 September 1855. 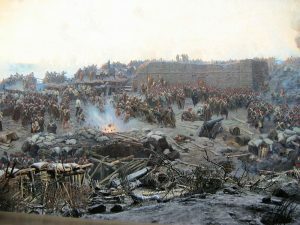 The Battle of Balaclava (25 October 1854). The Battle of Balaclava is now remembered for the calamitous Charge of the Light Brigade which saw British cavalry charge needlessly to their doom under the muddled and misinformed orders of their superiors. Much of the fame of this futile advance is due to a poem by Alfred, Lord Tennyson entitled ‘The Charge of the Light Brigade’, which describes the bravery of the cavalry under incompetent command. The Battle of Balaclava involved British, French, Turkish, and Russian armies. It finished inconclusively, although the Russians suffered heavier losses. The Battle of Eupatoria (17 February 1855). A large Russian force attacked the town of Eupatoria in the Crimea, which was occupied by the Turks. The Russians were repelled. The Sea of Azov naval campaign (25 May 1855 to 22 November 1855). British and French war ships attacked Russian ports from the Sea of Azov during a six month period in 1855. The object of these attacks was to intercept Russian communications and supplies. The war ships bombarded the Russian towns repeatedly, but they were met with stubborn resistance, and attempts to land and overthrow the port towns were quashed. The war concluded in February 1856. The Ottoman and Russian Empires agreed to halt military activity on the Black Sea, and all nations agreed to respect the autonomy of the Ottoman Empire. The peace treaty was not to last long though. The balance of power and partnership in Europe was in a state of constant flux. Old alliances failed, new alliances were formed, and by the 1870s the treaty had been abandoned. Those British troops wounded from fighting on the Crimean Peninsula were shipped across the Black Sea to medical stations in Turkey. These stations were poorly staffed, with insufficient supplies, and the medical and sanitary conditions were awful. This terrible state of affairs was reported by the media in Britain. 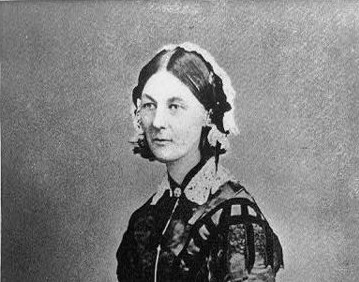 Thirty eight voluntary nurses, amongst them Florence Nightingale, travelled to Turkey to help relieve the situation. Nightingale proved herself to be hugely resourceful. Her competence and generosity were reported back in Great Britain. The Times Newspaper described her deeds in the following excerpt. Nightingale became known as ‘The Lady with the Lamp’ after these words were published in the Times. 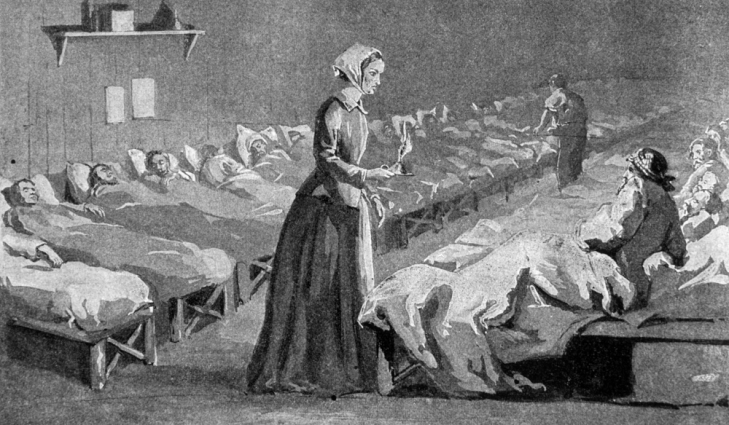 Diseases such as typhus, typhoid, cholera, and dysentery were rife in the army hospitals. Many more soldiers were dying from diseases than from wounds. Nightingale worked towards improvements in sanitation, nutrition, and activity for the patients of the hospitals. Death rates were reduced dramatically with the introduction of such measures. 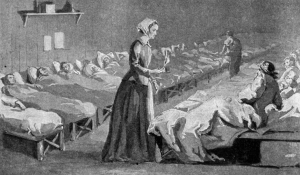 Nightingale kept meticulous records of the number of deaths, and the causes of deaths, so that on her return to Great Britain she could justify the need for improving conditions in hospitals. Following Nightingale’s return to Great Britain and her campaign for better living conditions for the army, the Royal Commission on the Health of the Army was created. Nightingale prepared an 800 page report for the commission on the welfare of the army. She advocated the use of statistics as a tool in decision making. Nightingale created graphs to demonstrate that more soldiers died in the Crimean War from disease than from wounds. Many of these graphs were of a particular flower like type, and are now described as coxcombs. Originally published by Understanding Uncertainty under the terms of a Creative Commons Attribution-NonCommercial-ShareAlike 2.0 UK: England & Wales license.